A fresh new apple variety will soon be ready for Australian lunchboxes. Celebrated for its vibrant colour, crunchy texture and sweet taste, the Kalei apple promises to stay in prime eating condition for up to three weeks. Canadian postharvest physiology researcher, Professor Peter Toivonen says the Queensland-developed apple couldn’t come at a better time. “People are not eating apples as much as they used to because there are so many other fruits that taste so good… there is no consumer interest,” Professor Toivonen said. The new Kalei apples’ resistance to apple scab and tolerance to Alternaria disease may be another incentive for apple growers to invest in their production. Apple scab alone currently costs Australian growers about $10 million annually in lost production and chemical control. 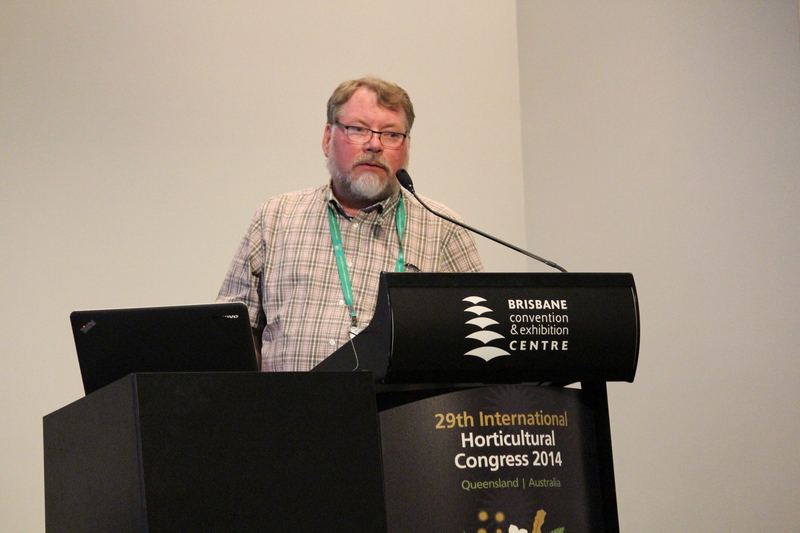 “Breeding an apple that mitigates problems is essential to the Australian apple growing industry,” Prof Toivonen said. The long-lasting Kalei apple was developed using controlled cross-pollination as part of a Queensland Government breeding program backed by Horticulture Australia Ltd and Apple and Pear Australia Ltd.
A high-yielding variant, Kalei is expected to produce 80-100 tonnes of fruit per hectare each year.